Noah Gardenswartz headlines Princeton’s Catch A Rising Star at the Hyatt Regency Hotel this Friday and Saturday night. It’s not that Noah Gardenswartz has turned into a junior Jeff Sessions. Instead, the smart-and-funny young comedian no longer feels compelled to wring laughs out of his fondness for cannabis. 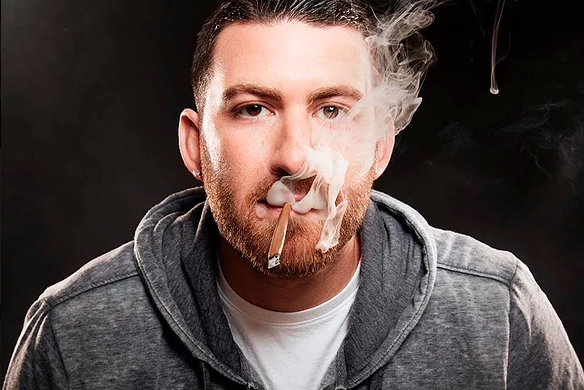 “Pot certainly figured into my material on the  album, ‘Blunt,’” offered the 32-year-old standup artist who Friday and Saturday headlines Princeton’s Catch A Rising Star chuckle hut. As the Denver-born, Atlanta-reared current resident of New York explained, “My comedy is an honest reflection of my life at the time. So, when I first started doing comedy fresh out of college, marijuana was a big part of my life. So it was involved in a lot of my stories; creativity came from being high. Not that Gardenswartz, who jokingly described the body of his work as being for “high, black Jews” has ever aspired to make finding humor in getting high his stock-in-trade. Besides, he noted, his life recently took a turn that has left him a lot less time for toking. He is part of the writing staff of “The Marvelous Maisel,” the buzz-heavy Amazon dramedy from “Gilmore Girls” creator Amy Sherman-Palladino and her husband, Dan Palladino, that is set in the standup comedy world of turn-of-the-1960s New York. It’s a job that has Gardenswartz walking on air. “For the first time in my life, I’m making good, consistent money,” he said. 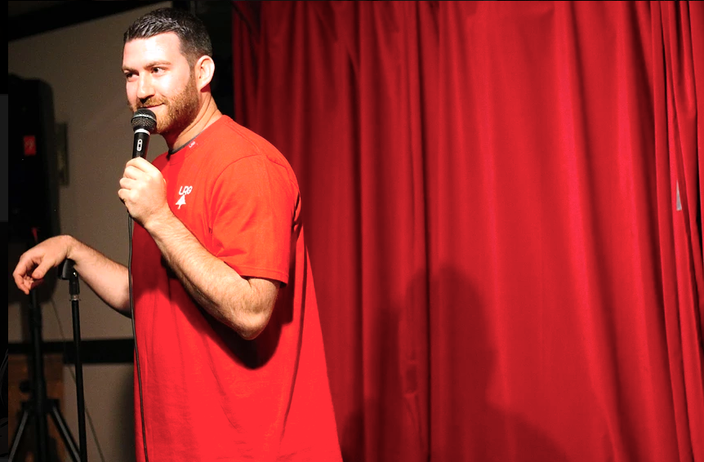 “It’s not very often that as a standup comedian you can bank on a [regular] paycheck. So it is nice to be able to live a little more comfortably. “But more importantly, the biggest benefit is that I’m learning from some of the best writers in the business. I’ve always been a good writer as far as jokes go, but writing for TV and writing scripts is a very different skill set, and it’s a hard one to learn how to get good at unless you’re learning from the right people. Nonetheless, Gardenswartz is also learning that even the best jobs have downsides. “I’m still out late at night every night and on weekends doing standup, so I don’t have a lot of time for myself. I’m there 9-to-6, 9-to-7 in the office writing, then I’m usually at shows from 8 to midnight, so in terms of just having time to sleep, play basketball, be a boyfriend, all those things kind of fall to the wayside. I don’t have a lot of personal time. Catch A Rising Star, Hyatt Regency Hotel, 102 Carnegie Center, Princeton, N.J.; 8 p.m. June 16, 7:30 and 9:30 p.m. June 17; 609-987-8018, or click here for more information.